MINI Australia was pleased to support the Byron Bay Surf Festival as a major partner for the 2018 event from 22-25 February. 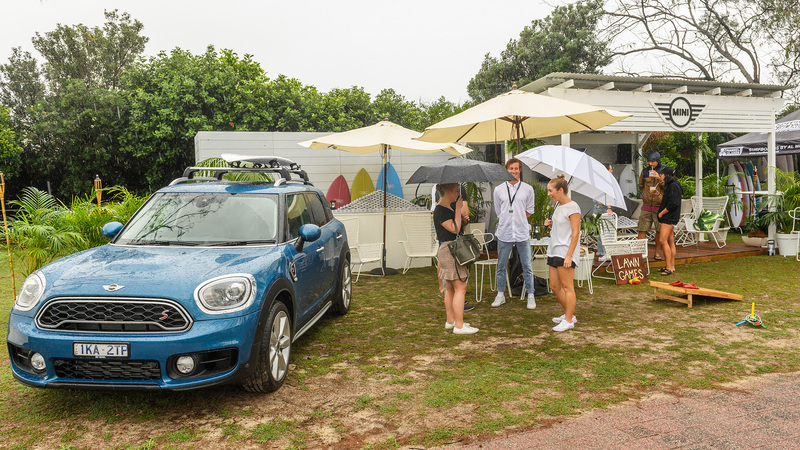 The event spanned across a number of areas within the Byron Bay area, kicking off with an interactive art and music market in the centre of town where KOJO was engaged to design and build a bespoke structure that would operate for the opening day of the festival, highlighting the key personas of the All New MINI Countryman. Drawing inspiration from the prevalent surf culture, KOJO created The MINI Backyard; a lively hub designed to replicate the ultimate surfer backyard hangout complete with timber decking and pergola, outdoor seating, surf movies on the big screen, classic backyard games and a waxing station manned by the winner of the 2018 BBSF longboard competition. Completing the display was ‘The Adventurer’, the All New MINI Countryman fitted with roof racks and a custom designed MINI surfboard.